IT applications form a vital support for any business today. They may come in a form of software products that are important in doing work, such as Microsoft Office applications and other programs that aid humans in computing or reporting. Some companies take risks such as inventory financing due to low inventory turnover. Some application software help manage inventory to avoid errors in inventory and improve on sales by having the correct data inventory at all times. 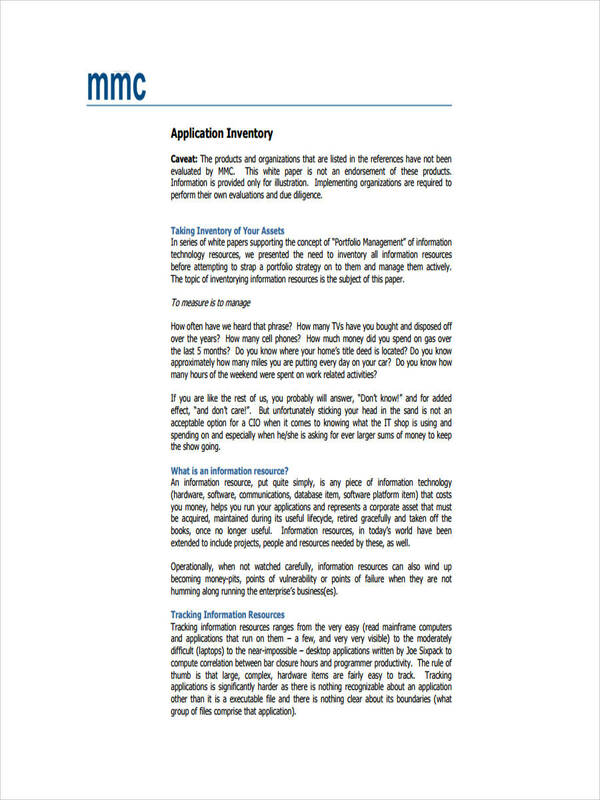 Examples in the page are shown for additional information regarding an application inventory. 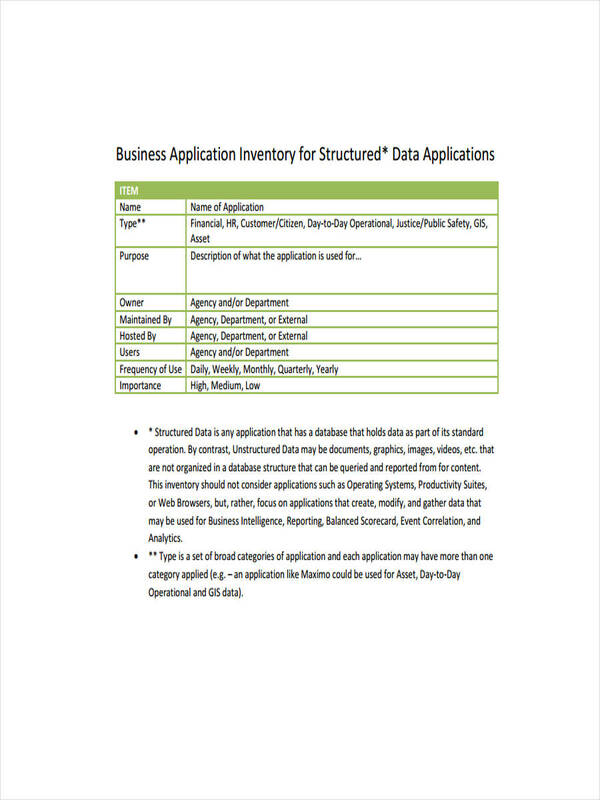 Scroll down to view more samples of an application inventory. 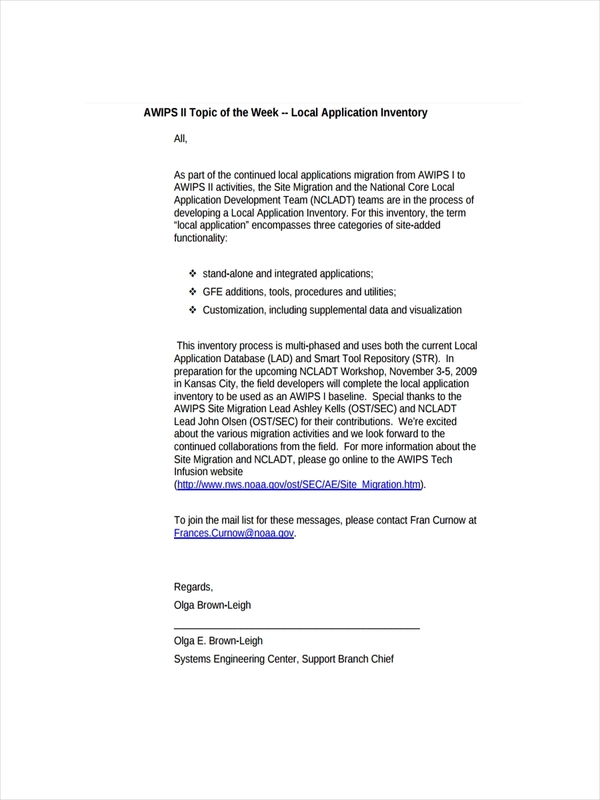 What Is an Application Inventory? An application inventory, in layman’s terms, is a listing of all application software used or purchased in a company or business. Company’s use different kinds of applications all the time in their reports or spread sheets. Accounting for all application software within the company must be given priority in order to identify all applications that a company has. Inventory examples and equipment inventory examples are shown in the page to provide more information regarding an application inventory. Feel free to click on the download link button below the samples to get a closer look at the files. 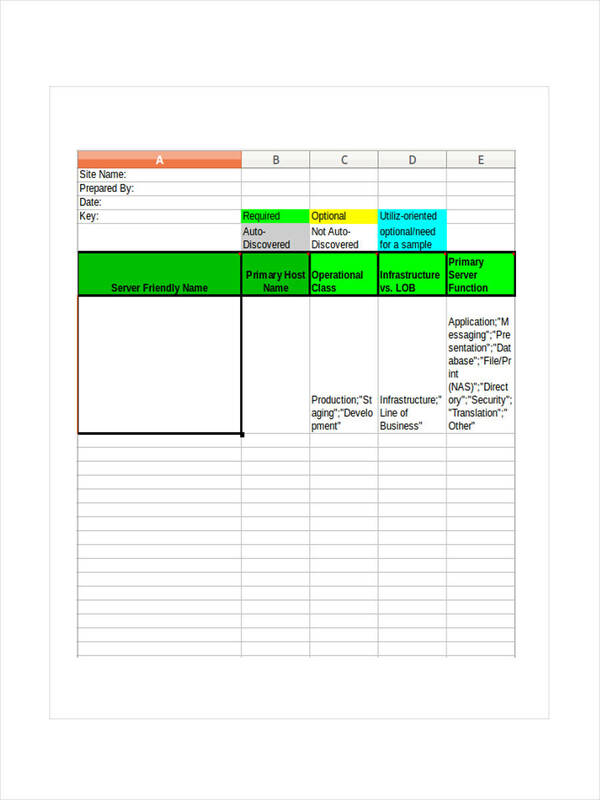 Create a spreadsheet listing all applications on each company computer. This can be done in two ways. One is by logging into every computer and listing all applications in that computer and so forth. Another simpler way would be by asking the user of the computer for the applications in such a computer. Another way is by interview questionnaire representatives for each department to help in creating a list of applications used by that department. 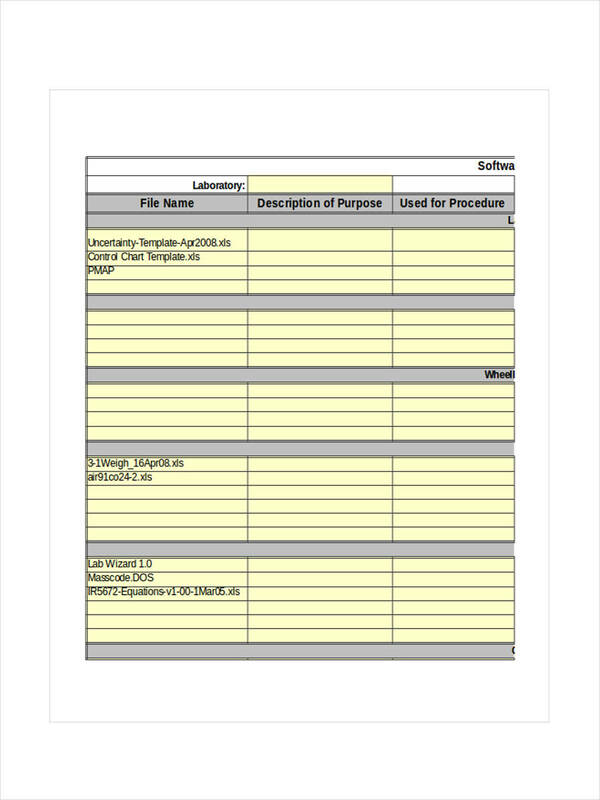 Inventory examples in Doc and property inventory examples are found in the page to show how an application inventory looks and how it can be made. What Are the Benefits of an Application Inventory? 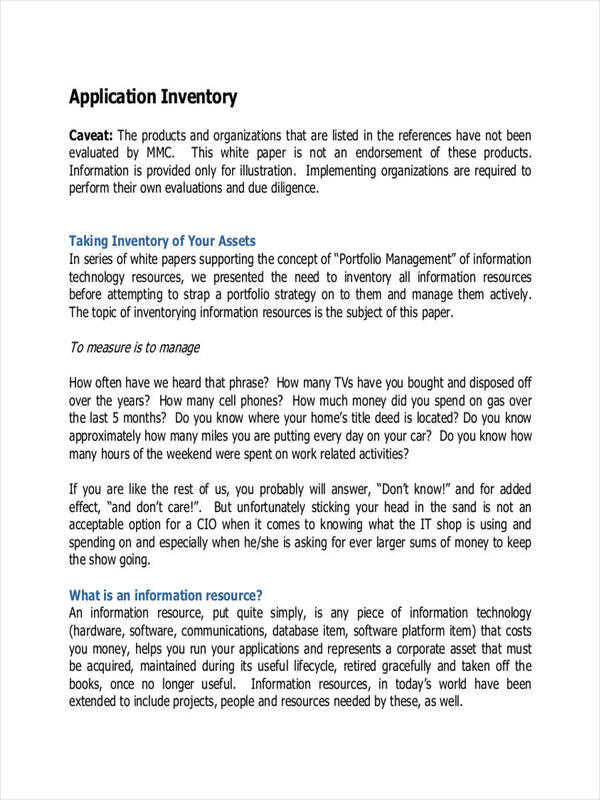 An application inventory determines what applications the company currently has and which are often or seldom used. This way, the company would be able to determine which applications are essential for the operation of the business. Applications have licenses and some do not have perpetual ones. They have to be renewed ever so often to get continued use. By determining which applications are often used, other applications would not have to be used at all thus extinguishing the need for renewal of such licenses. 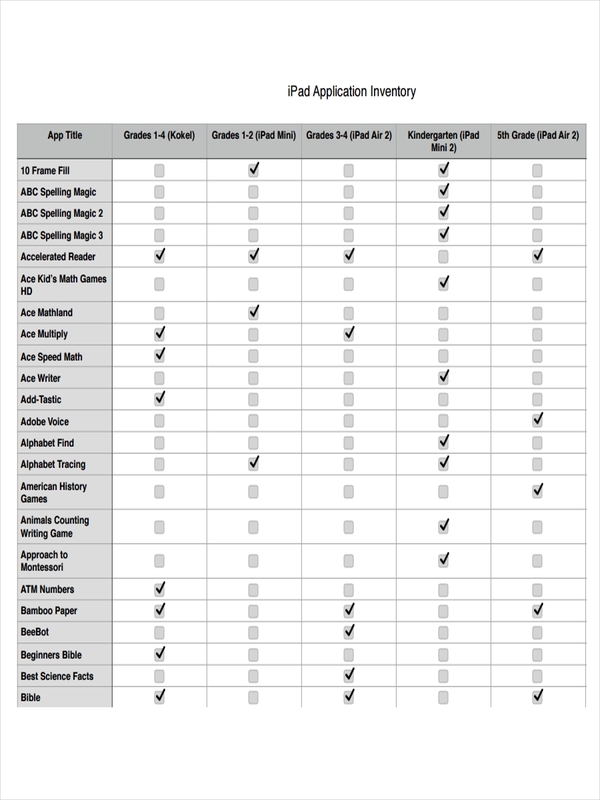 Areas where an application is commonly used would be prioritized over areas that do not require the use of computers or their programs. Knowing which applications are often used, the company can invest in more applications that will be actually used rather placed in storage of some hard disk. 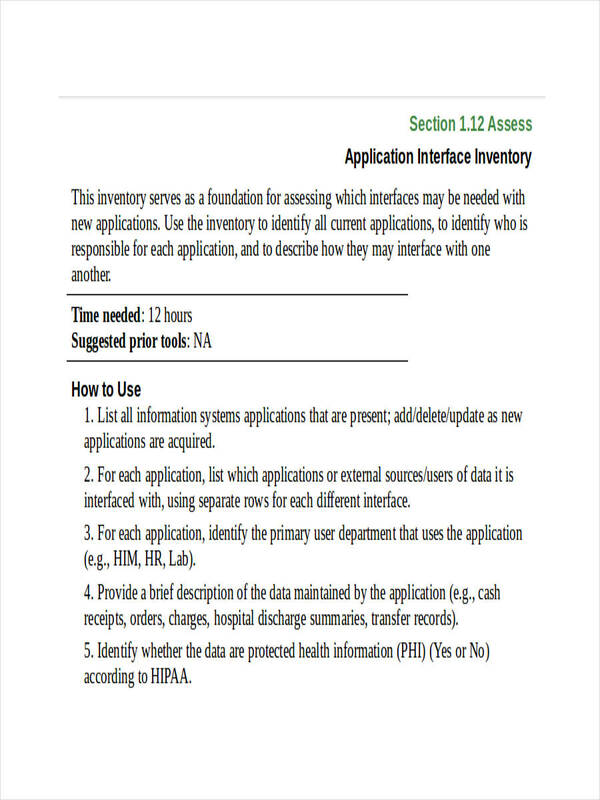 Inventory examples in PDF and blank inventory examples shown in the page additionally give information regarding an application inventory. Feel free to download the samples by clicking on the download link button under the sample.